Yesterday an old friend who works in a *much* different field than I (still data, just .. different data) contacted me regarding dealing with new data. He apparently runs into the same issue that I do from time to time: looking at a new data set and effectively exploring the data on it's face, without bringing pre-existing knowledge to the table. I started writing what I thought would be a couple of bullet points, it turned into something more, and I thought, hey, I should post this. 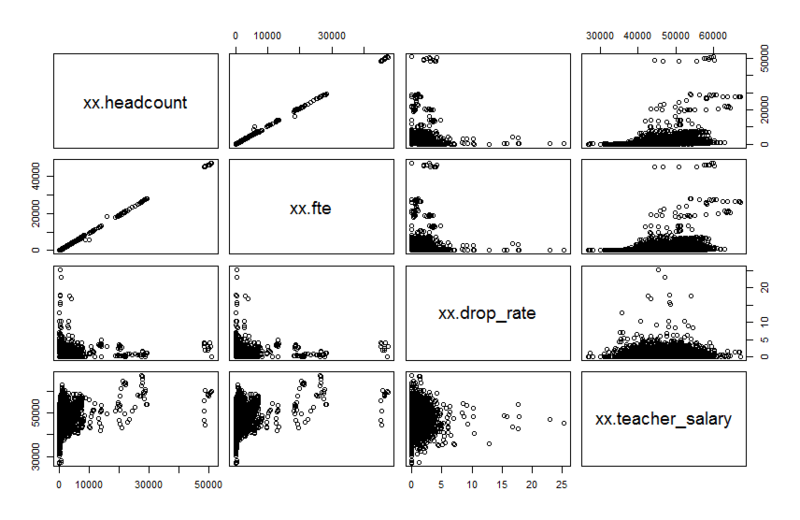 So, here are my tips for on-face evaluations of new-to-you data sets. BTW, this is somewhat of a followup post to this one. 1. Correlation Matrix: This is simple, but gives you pretty quick insight into a data set, creates a matrix of all Pearson correlations for each set of variables. Syntax is cor(data.frame) in base R. Also a few graphical ways to view it, including the corrplot library. Here's an example of the raw and visualized output. 4. Stepwise Regression: This is another often mis-used statistical technique that is good for data description. It's basically multiple regression that automatically figures out which variables are most correlated to the dependent variable and includes them in that order. I use the MASS package in r, and use the function stepAIC(). I guess you could use this for actual predictions, if you don't care about the scientific method. 6. 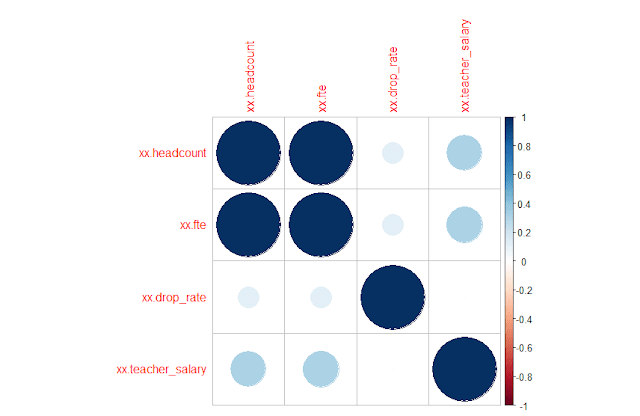 Clustering and Descriptives: So I assumed you already ran descriptives on your data, just running summary(data.frame), but that's for the entire data set, there's an additional question which is: are there natural subsets of observations in the data that that we may be interested in? Kmeans is the easiest statistical method (and available in base-r) DBSCAN is more appropriate for some data (avaliable in DBSCAN package). After clusters are fit you can calculate summary stats using aggregate and the posteriors from the cluster fit. For me this blog is great, this blog is moving very important issues.